Bruce helps a patron navigate the non-fiction stacks. 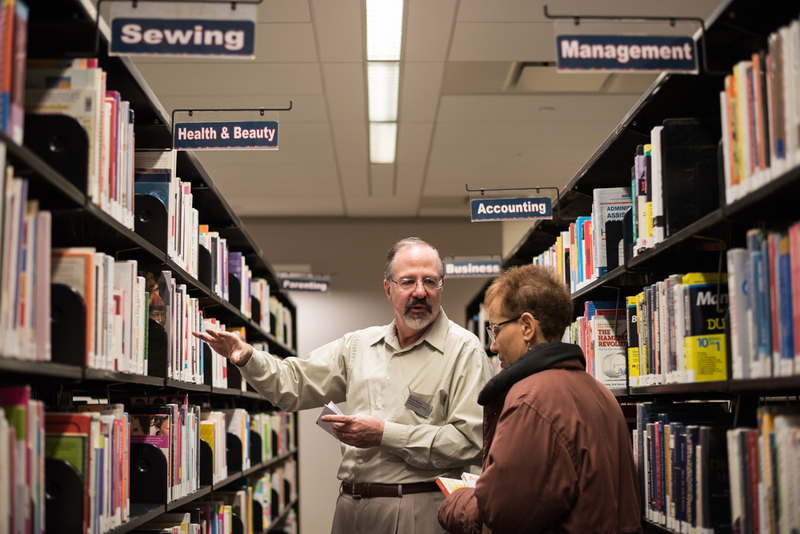 A lot has changed in the library world since Bruce Brigell began working here. Our senior reference librarian, Bruce joined our staff in 1992. CD-ROM computers were hot, and the internet was scarcely available to the public. High school and college students frequently sought assistance from reference librarians. 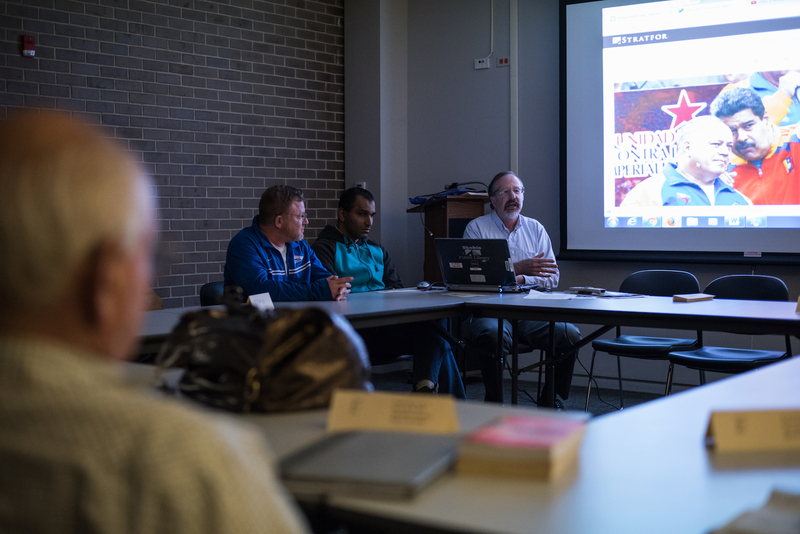 “Students were totally dependent on the library—they couldn’t work remotely with their college resources,” recalls Bruce. 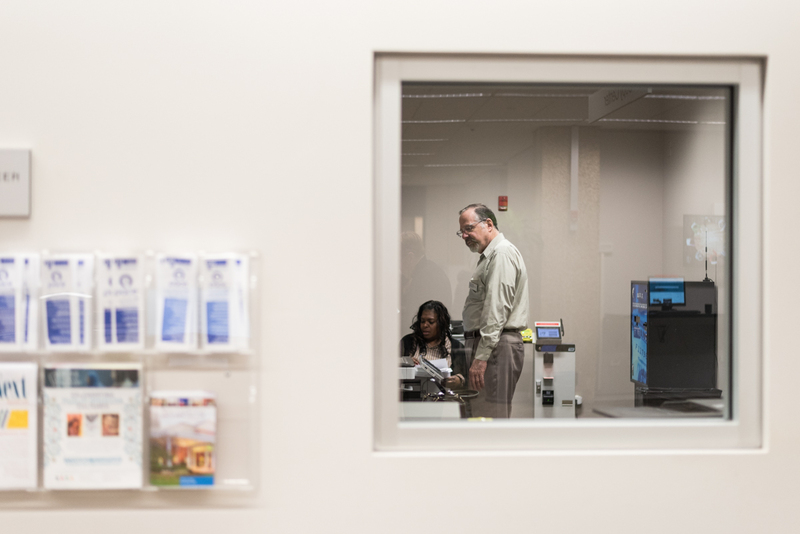 Even though technology continues to change, many people—maybe not quite as many students—make it a point to ask for help at the information desk. “There are times where Siri is not going to answer your questions as well as we might be able to,” says Bruce. Bruce researches a patron's question in his office. As Bruce’s longtime co-worker, adult services manager Lynnanne Pearson says, “Bruce has an incredible depth of knowledge, and what he does not know, he knows where to look to find the answer. 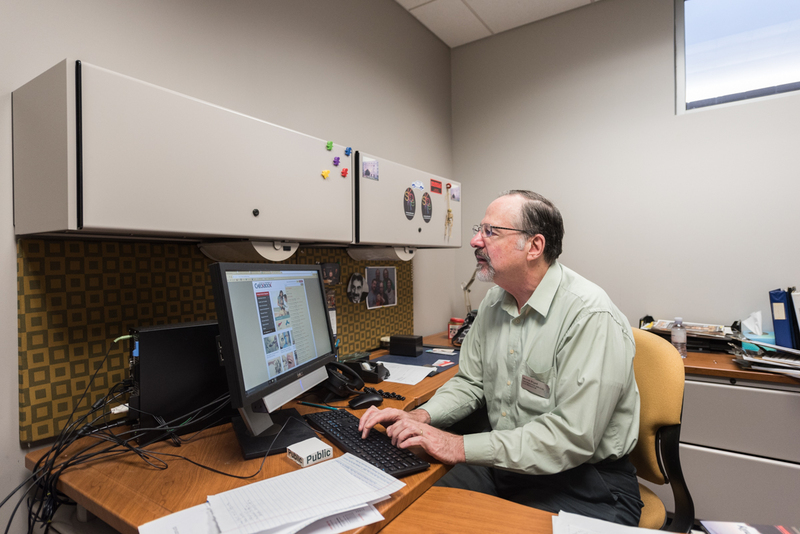 He knows just the right database, the right Web resource and, sometimes, the right person to find the answer to the questions.” Reference librarians like Bruce are trained to quickly find information from a wide range of sources and answer even the trickiest questions. Bruce has just been at it for longer than most. Bruce assists a patron looking for books in the non-fiction stacks. Ask around and a common response about Bruce’s work and the way he carries himself at the library is how well we works with people. “Sometimes I feel like it’s not his job, but he goes out of his way to do things,” says Sadruddin, a regular patron. 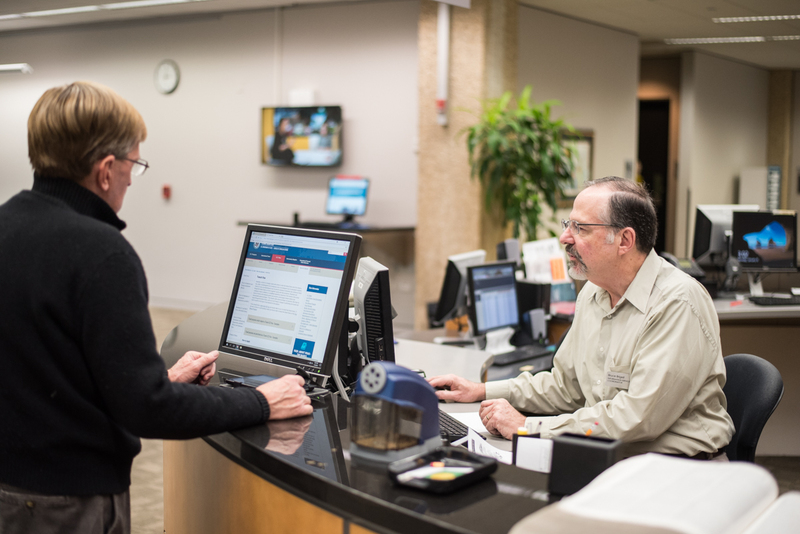 Bruce provides technical assistance to a patron in the library's Copy Center. Bruce leads a session of the Great Decisions discussion group in 2016. In retirement, Bruce plans to help his wife with raising political awareness about certain candidates, improve bass guitar skills, exercise at least three times a week, and dig into some video projects like revisiting his father’s old 8mm film footage. Bruce helps a patron with a question at the Information Desk.